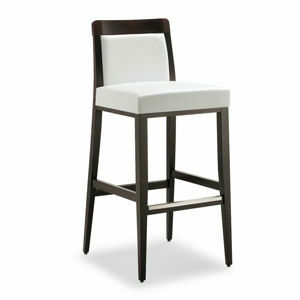 Stool with wood frame in solid natural or stained beechwood. Upholstered seat and back. Metal cap on foothold.